The Reports section of the Financial System Review examines selected issues of relevance to the Canadian and global financial systems. 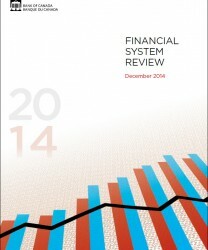 The December 2014 issue features two reports on important developments in the financial system: rapid growth and innovation in the market for exchange-traded funds, and the increasing significance of cyber attacks to the operational resilience of financial institutions and financial market infrastructures. Ian Foucher and Kyle Gray explain the different types of exchange-traded funds (ETFs), which present both benefits and risks for investors. They discuss ways in which the risk characteristics of certain ETF products could have broader implications for the financial system, and describe the evolution of ETF market structure and regulation in different jurisdictions as authorities try to mitigate risks related to ETFs. Harold Gallagher, Wade McMahon and Ron Morrow examine the various sources of cyber attacks and their potential for systemic risk. Against this background, the report highlights efforts being made to protect against cyber-security threats, including individual and collective actions by financial institutions and financial market infrastructures, as well as initiatives by international organizations, regulatory authorities and governments. The authors then describe the coordination, under the Joint Operational Resilience Management program, of private and public sector actions in Canada for managing and testing capabilities during severe operational events such as cyber attacks. 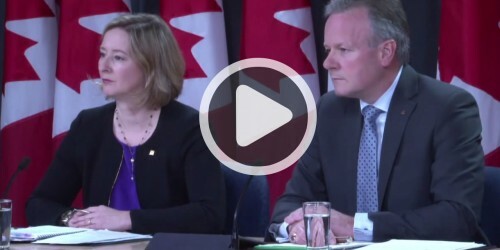 Press conference following the release of the Financial System Review. Using a panel logit framework, the paper provides an estimate of the likelihood of a house price correction in 18 OECD countries. The analysis shows that a simple measure of the degree of house price overvaluation contains a lot of information about subsequent price reversals.